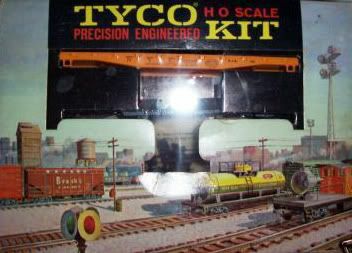 The 1960, 1961, 1962-63, 1963-64, 1964-65 and 1965-66 TYCO catalogs list the retail price of $2.29 for this freight car. 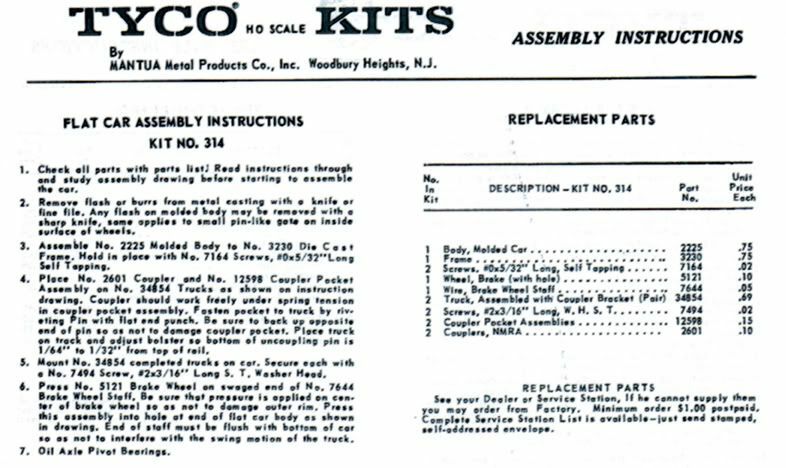 A kit, #K314A thru #K314E, is listed in the 1963-64 catalog selling for $1.29 each. The 1964-65 kits selling for $1.29 include #K314A thru #K314C. Kits, #K#14A thru #K314C, are $1.49 each in the 1965-66 catalog. 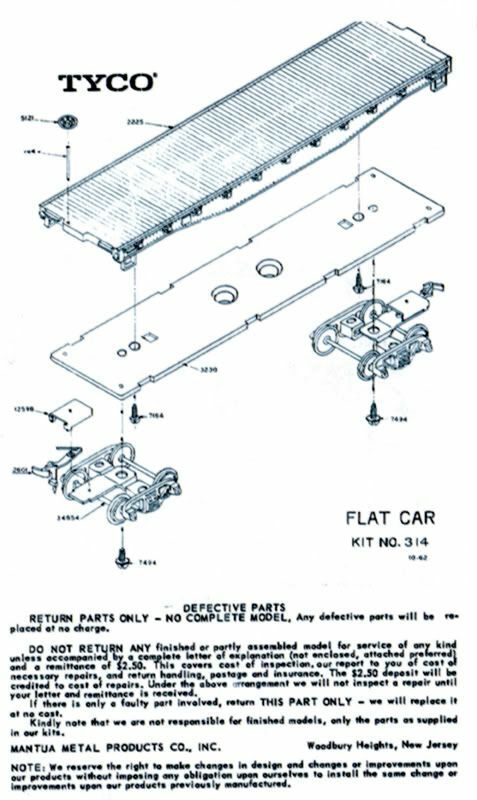 This flat car is introduced in mid-1955 under Mantua's name in kit form selling for $1.95. Original road names for that release included: Pennsylvania, Santa Fe, and U.S. Navy.